There are myriad reasons why your nonprofit needs to be sharing content regularly on your website and social media. For staying top of mind, reminding people of the work that you do, getting your message out (and furthering your mission), and even basic SEO strategy…content is king. Creating a calendar is a simple, effective way of scheduling future posts, but if done right, makes it a lot easier to actually generate those posts. Chances are, you already have a calendar that includes major events like galas, do-good drives, annual events and celebrations, among other things. For calendaring and planning, we love the free and powerful Asana (see our review), which can integrate with but the best tool is the one you are most comfortable with…even if it’s the whiteboard in your office. We recommend keeping an ongoing 1-year, 6-month, 3-month and 1-month calendar. The further away something is, the less detailed the plan has to be. For the sake of sanity, however, anything in the 3-month window should be in prep, anything in the 1-month should be in “production,” one way or another. The problem is that most of the time, businesses and organizations focus on just talking about their work; or worse, asking for the sale or donation. Your audience is probably interested in other things, many of which indirectly connect back to the change you want to make in the world. Share this post with other do-gooders who might benefit! One of our favorite ways to generate quality, valuable content that speaks to audiences on multiple levels and isn’t all about “me” is by tying it into events happening in the world. As a bonus, people will already be thinking and talking about the subject at that time, so you may enjoy a viral boost. 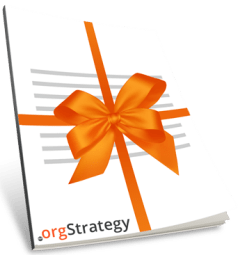 While you can’t plan for the latest news headline, you can plan for national holidays and, more apropos for nonprofits, awareness days, weeks and months. To make it easy to find and add these dates to your calendar, we’ve created a new nonprofit awareness calendar feature, including links to websites with more information and hashtags you can use to join the conversation. There are nationally recognized philanthropic events like National Volunteer Week, and more specific ones for arts and culture. If you’re an organization dealing with health-related concerns, there is no shortage of awareness dates to tie into. For others, you may have to think a bit more creatively, but that can also be freeing and fun. For example, what’s your organization’s position on television, toilets, fathers, or the U.S. flag? Whether you want to say something fun or poignant on social media, or to make a larger statement with an article or video, there are sure to be plenty of things to talk about in our list of 248 nonprofit awareness dates for 2017. We’ve researched, compiled and categorized nearly 250 non-profit related holidays and awareness events in the United States for 2017. Browse through the listings and add them to your content calendar! Mine these areas for content subjects that are directly, indirectly or even tangentially related to your work and mission. It’s always better to have too many options to execute on, than to not have enough and grasp at straws last minute.